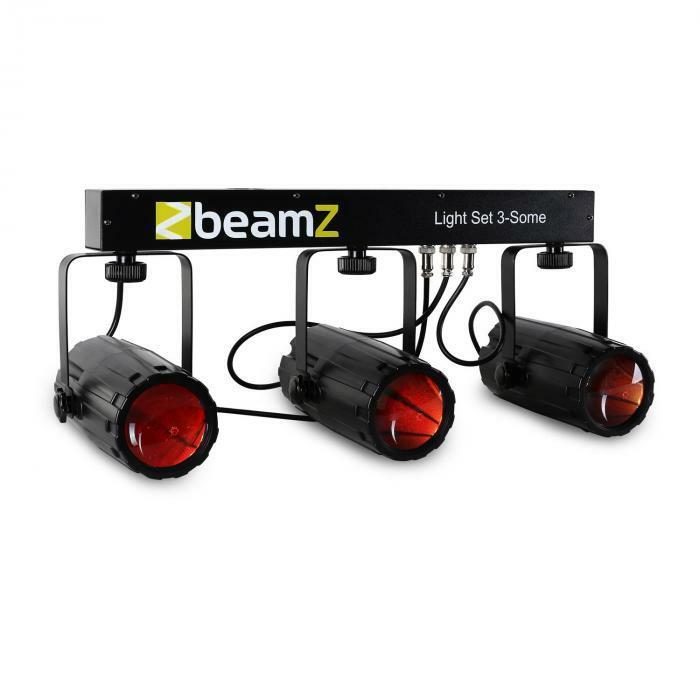 The Beamz 3 Some Light Effect Set transforms dreary rooms into pulsating dance floors. Thanks to its beginner-friendly Plug & Play usability as well as its thoughtful product design, this LED set is perfect for creating an atmosphere to go along with your music. 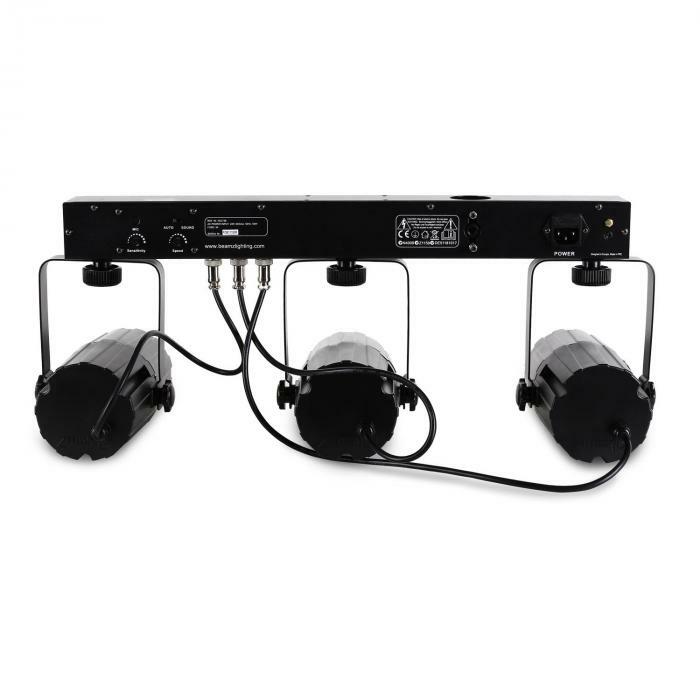 The sound control operates via the built-in microphone, and the automatic mode easily produces a wide variety of light projections with minimal effort or know-how. 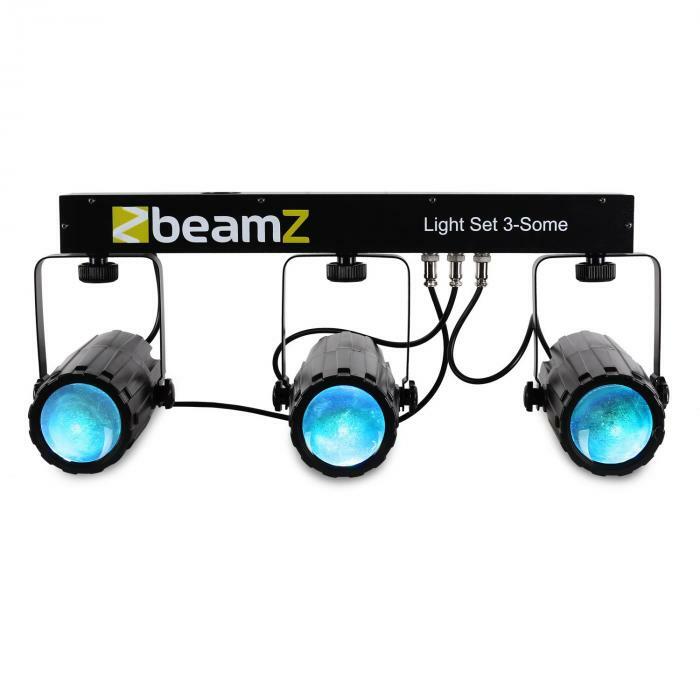 The set has three lightweight LED moonflower light effects with 3 x 57 LEDs in the RGBW colour spectrum and a robust T-bar metal for suspended installation. 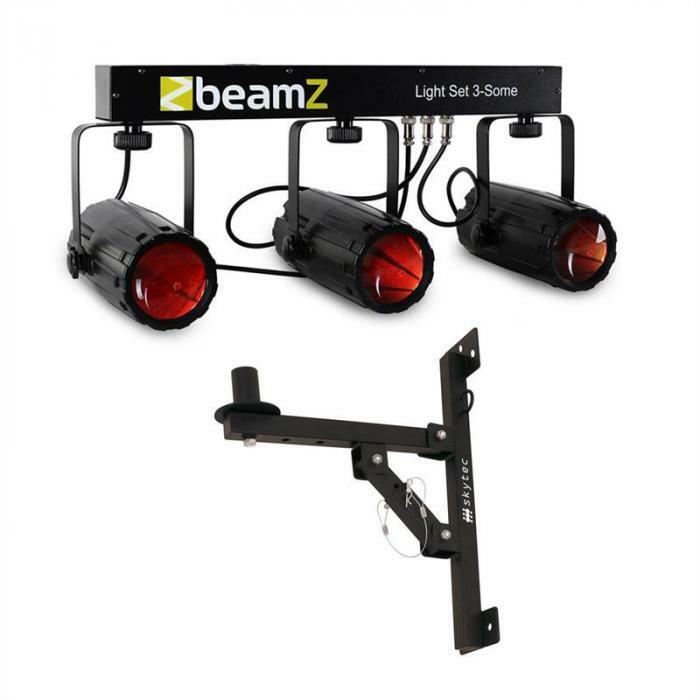 All light effects can be separated from each other to rotate, tilt, and make optimum illumination. The T-Bar may also be mounted on a tripod. 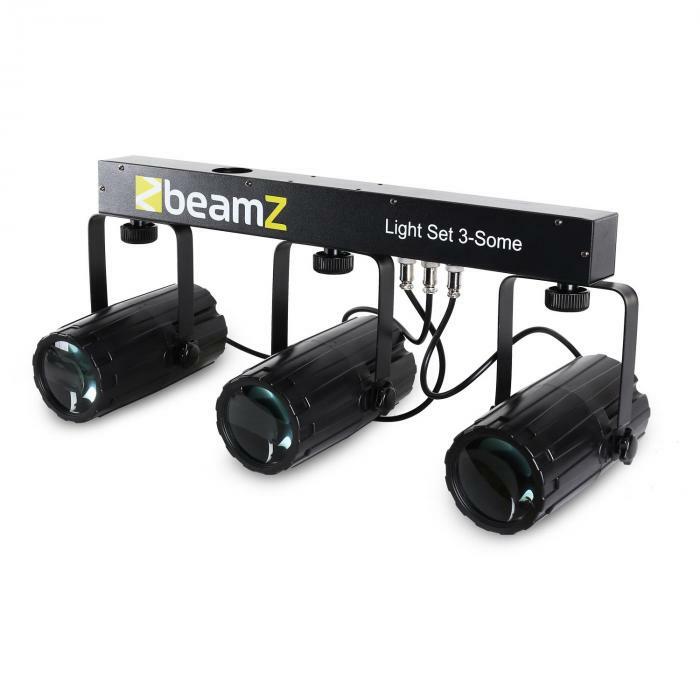 Due to the low power consumption, long life of the LEDs and ease of use, the Beamz 3 Some LED Light Effect Set is an ideal solution for creating lighting effects at parties and karaoke events in small bars and clubs or at family celebrations.